Gästartikel: Why are some breweries releasing defect beer? Porterstekens gästskribent Matt, som till vardags skriver på The Pilgrim & The Progress, är tillbaka. 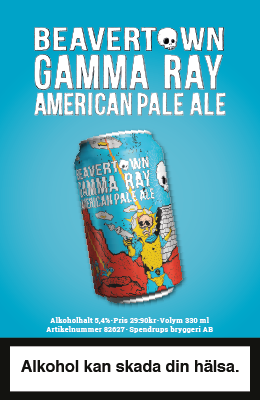 I den här artikeln reflekterar Matt över det faktum att det finns bryggerier, både i Sverige och utomlands, som släpper undermåliga produkter och vilka effekter det kan få för dem själva och för hantverksölets status som helhet. Ordet är ditt, Matt! 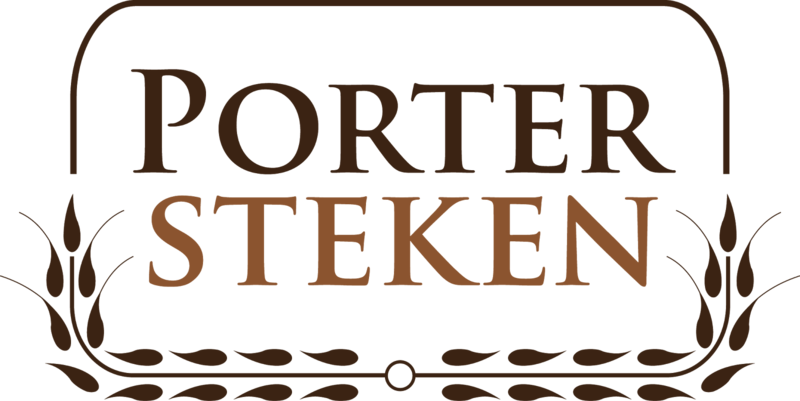 I have been to many homebrewing competitions over the years and have often been impressed by the standard and high quality of the beers on offer. Sometimes, I think that the quality of homebrews can be higher than some beers from a commercial brewery. Just like in many countries in Europe, Sweden seems to be undergoing a microbrewery boom at the moment. Not a week or month goes by without a new brewery being brought to my attention. I like to support small businesses and I am a naturally curious person, so I make a special effort to try beers from some of Sweden's newest breweries. Usually I am very impressed by what I have tasted, but sometimes I am left feeling a bit underwhelmed, or even disappointed. 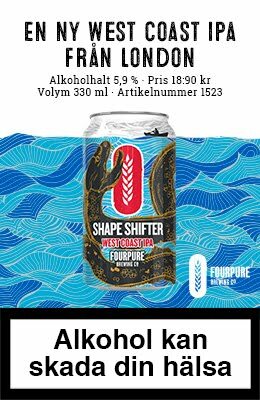 Sometimes I wonder if the people behind some microbreweries (not just in Sweden, but in many countries) are diving in headfirst before making sure their products are consistent enough to provide consumers with the satisfaction that they desire and expect. The brewing industry is very fierce and whether we like it or not, mud sticks and when damaged, reputations can be hard to repair. I remember when I used to live in Southampton in England. There was a local brewery there called White Star. Sadly, the consistency of the products left a lot to be desired and many local pubs struggled to sell their beer. This was because customers had disappointing experiences with their beers and whenever faced with a choice, they simply ordered a beer from another brewery instead. The quality of the beers from White Star improved quite a lot after that, but at local level at least, the damage had been done and it was difficult for the brewery to repair its reputation. Less than 4 years after opening, the brewery closed down. Bands often take months or even years to record and produce a song. They record several demo versions and seek the opinions of others before releasing the song to the public. Breweries, however, are often not as thorough as this and sometimes release their beers to the public before the beers and the recipes have developed enough. I am aware that recipes evolve and are often tweaked, but I am primarily referring to quality control issues and more deep-rooted problems than merely changing the malt bill a little. Sometimes when I taste a beer from a microbrewery, I often get the impression that the beer is a 'work in progress' and that the beer recipe is not yet the finished article. This is all well and good, but when beers are available commercially, the breweries must recognise that it isn't the same as being in a homebrewing contest. I would like to think that I am quite an open-minded person when it comes to beer and I acknowledge that by its nature, craft beer can be a bit inconsistent, but when the quality of the beer is lacking, how will it affect the perception of craft beer, not to beer enthusiasts like myself, but to the public in general? Beers from microbreweries are often more expensive than those produced by the larger breweries. Beers from larger breweries are technically sound in terms of quality, but they often seem to lack something when compared to the finest beers (in good condition) from microbreweries. Part of the problem is in trying to persuade people to part with extra money to pay for a product from a microbrewery, rather than a product from a larger brewery. In my experience, if the quality and consistency are high, people will gladly pay more money for a product produced by a smaller company, not just in the brewing industry, but in general. The stumbling block is when the consistency and quality are lacking. How can people be expected to pay extra for products that do not consistently deliver high quality and reliability? There's currently a debate going on in the UK about the merits of keg and cask-conditioned beer. Some people refer to keg beer as being craft beer, while others (rightfully in my view) claim that both keg and cask-conditioned beer can be considered as craft beer, and that they're not mutually exclusive. In spite of the ambiguity of the term in some areas, craft beer is something that I wholeheartedly support and enjoy. I certainly don't want people to associate craft breweries with inconsistency and poor reliability, because this generally isn't the case. I do worry, however, that problems with infections in the bottle (we've all had a gusher!) and yeast issues will sometimes be detrimental and counterproductive to the hard work put in by some breweries. I am not saying it's easy to be a brewer and to produce high quality output on a consistent basis, but I do sometimes think that brewers should be a bit more careful before making some of their beers commercially available. If not for the sake of craft beer in general, then for the sake of the breweries concerned.